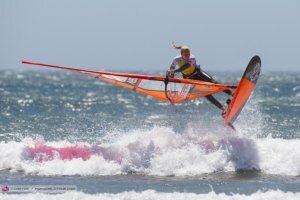 Women´s windsurfing has exploded last years. 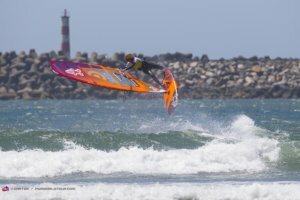 The level has never been higher and for the first time, PWA World Tour had a few “only women´s” events. Our female team riders; Sarah-Quita Offringa, Delphine Cousin, Maaike Huvermann, Oda Johanne and Lena Erdil did a Q&A session. 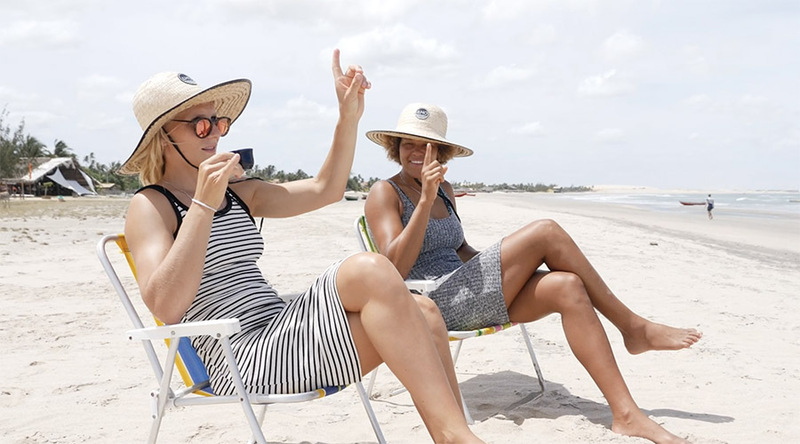 If you are interested in “how to carry your foil” like the World Champion Delphine Cousin, why Sarah-Quita is addicted to coffee, how Lena did her rehab, what Oda learned from her professional handball career, and what Maaike did during a big wipeout, read the interview below. You seem fearless on the water. What was your scariest experience in windsurfing? It’s not necessarily one moment, but just generally getting washed by big waves freak me out. Instead of just keeping calm and swimming to the gear, my brain decides to give me a panic attack to make breathing even more challenging. So yeah, that’s not great. Didn’t have a super scary shark encounter or anything special like that, hope to keep it that way! Fingers crossed. Why did you decide to do freestyle as your main discipline? Quite a few of the pro freestylers on tour are from Brouwersdam. Those guys really inspired me and are the reason I’m doing this. It’s the perfect spot for freestyle and I always loved to jump around and do tricks as a kid. So it was only natural for me to start doing freestyle. What is your favourite thing to do besides windsurfing? Travelling! Exploring and going on adventures is something I love to do and that keeps me going. And also, if I’m not studying, windsurfing or working, I love to just sleep! You had one of the gnarliest wipeouts in the Sylt shore break at the event, what thoughts and feelings go through your mind when you get hammered like that? Someone help meeee!!!! In Sylt, I felt like I was quite far away from the beach, so that scared me a little because I already felt exhausted from sailing in those extreme conditions. Luckily the current pushed me towards the beach so it only took about a minute for me to get back to the beach. The fact that I start panicking rather than just keeping calm is a bit of a problem, so that’s something I should really work on. I was wondering how you managed to combine studying with being a professional windsurfer on tour? Because I’m not getting a lot of windsurfing done over here and I desperately need to change that. First of all, I’m super excited for you that you decided to start your studies. Good luck! I didn’t windsurf so much when I studied in Holland. I was very spoiled coming from Aruba. It was hard to get me in a wetsuit and go out in the cold. It took me some time to get over that (I’m still not over it). I missed a lot of windy days. But I was also very busy studying. Windsurfing was my main drive to study hard though. It gave me a clear goal at the end of the road. I studied hard so that at the end of a course -10 weeks- I would pass my exams without having to re-do any, and that way I could travel out for 14 days to the Canaries, Egypt, Brasil… Anywhere windy that specific time of year. I’d be able to travel 4 times a year and I’d be competing all summer. So, I didn’t windsurf as much as I was used to, but studying has been one of my most important experiences. Freestyle has been your favourite discipline since the beginning. Which one is your favourite now? 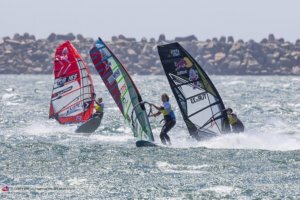 Slalom, wave or freestyle? I’ve been asking myself that lately as well. If I could only have one gear setup for the rest of my windsurfing career, I would finally choose a freestyle setup because it’s so diverse. I can go back and forth if I want, I can go crazy freestyling, and if there are waves I can still go for jumps and do cutbacks. But then I go for a slalom session and the rush of going so fast and racing other riders is just the best feeling. And then I’m on my wave kit slashing waves in two (in my mind) and I don’t see how I could ever do anything else. 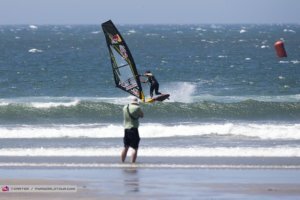 So ultimately… I love windsurfing as a whole and it’s the diverseness of the sport that drives me. You seem to have a hobby drinking coffee, but how many cups a day do you actually drink, and at what age did you start? Ah! Don’t get me started! I talk about coffee more than I talk about windsurfing I think! I started drinking coffee when I was about 19. I still remember that day like yesterday. I went from 0 to a 100 real quick. Three cups of coffee in one day: breakfast, lunch and dinner. The rest of the night I was up with wide eyes contemplating life. I had unlocked a superpower! Since then coffee has become a hobby (some call it an addiction, I don’t exactly agree). I don’t know how to work a proper coffee machine yet, but I am a professional coffee taster by now. I love finding places that prepare that espresso machiatto just right. But I mostly like to explore that fine line of having just enough coffee or get wired. Sometimes I win and everyone around me loses because I transform into superwoman and am unstoppable. Other times I lose and well, I crash… The game starts over again the next day. I also rate the countries I travel to based on the quality and price of coffee. I will say that the price/quality ratio is the best in Cape Town at the moment. I might have to move there now. Oops! Did I just go on a whole coffee rant? I had 2 double espresso’s and before I knew it I was at the end of this paragraph. Did I even answer your question? A bit too wired now to think straight. Unless… I grab another cup? LET’S GET IT ONCE AND FOR ALL!! I have tried them on both tacks a couple of times now. It’s quite the battlefield in my mind on the water when I want to try them. I just go back and forth, and then all of a sudden, something switches in my mind and I make myself sheet in for that second rotation. Until now I’ve only landed on my back doing 1,5 rotations which stings quite a lot but has become less of a shock the more I’ve tried it. But ooohh weeh, I’m quite stoked afterwards knowing that I pushed myself to do something I’m scared of. You are a rocket in high wind slalom! What do you think about challenging yourself in the speed discipline? Actually, speed is not really what I prefer. What I like the most when I compete is to be challenged directly by other competitors. This is the reason why I can push my limit with the speed! What are your tricks for carrying a windsurf foil, board and sail at the same time? To go in the water with your foil equipment is not super easy, but it’s a good warm up! Most of the time I put the board with the foil looking to the sky. I hold the sail on one side and the mast of the foil on the other hand. I find this as the easiest way. If it’s wavy you have to take all the gear on your head like slalom or wave equipment. What do you like most about sailing in St. Barts? St. Barth is a really small island in the Caribbean. We are most of the time sailing in the open sea, so the conditions are pretty difficult with a lot of swell. It’s always pretty challenging conditions. I like it because I´m never bored, and I always feel like I´m progressing and learning new things to improve my technique. It´s also great to sail in 28 degrees during winter. 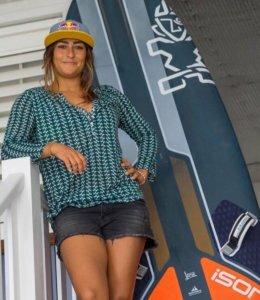 How was it to win the first women´s foil race in the Azores, and how did you prepare for the race? I was so happy to win this event because it was the first international foil race for women with our own fleet. The conditions were very challenging, so I´m really proud of myself to have been able to sail in those conditions. Actually, I didn’t do any specific training for this event, as it was the first one. My goal was to give it my best and learn more in this discipline. I went there without pressure and when I saw I had the level to win the event, I tried to sail better and better each day until the end! What’s travelling like for you, having done all three disciplines last year? I love travelling. 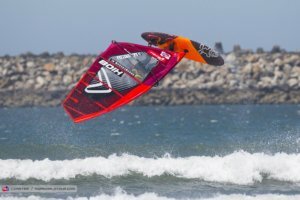 I think it´s one of the biggest motivators for me in windsurfing. Of course, sometimes I just want to stay home and have my suitcase unpacked for a few months, but then again, having been ‘grounded’ now for a while I can’t wait for the next trip… With no permanent address for already quite a while now, I don’t really miss «home». It´s more my dad or my friends that I miss, but when I can travel with them, everything is perfect! I’m pretty stoked that in such a short season between two injuries, I managed to compete in three disciplines! Still need a lot of freestyle lessons though, so I hope maybe in the winter that I can join the girls freestyle crew in Brazil. 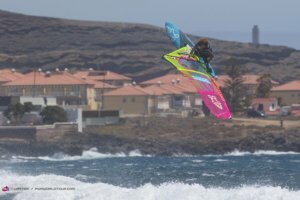 After your injury in Tenerife, do you plan to continue to do some wave events in 2019? Do you still remember when you got hooked to windsurfing? I think planing in both foot straps and doing my first proper racing gybes must have been the moment. I think I felt so proud and full of confidence achieving that, it was definitely special! Your injury was a really serious one. How did you arrange your rehab program? I was lucky! When I came back from Pozo, I was immediately approached by a Physiotheraphy Studio called PT-Academy in Istanbul. They are specialized in sports physiotherapy and injury rehabilitation. They offered to sponsor my rehab and I immediately decided to move to Istanbul and make rehab of the foot my new full-time job… I’ve been gong 5-6 days a week for the last five months… And I´ve also been doing a lot of swimming and aqua jogging. It’s been a gradually process and many changing exercises all overseen by the experts at the PT-academy. You’ve been producing some great videos lately. Do you edit everything yourself? What was your favourite production? Yes, I do edit almost everything my self, it´s a passion I have. I´m travelling and training a lot with my boyfriend Håkon Skorge and Sarah-Quita, so we do film quite a lot to progress our sailing. One of the last videos I did with Sarah-Quita: «Lovely Holiday» we filmed and edited together. That was a great time, and we did get some really nice feedback when we released it. So far that must have been the funniest production. I´m working on a video from Lofoten (North of Norway) at the moment. That nature footage is the best I have ever had, which kind of makes the editing even harder… Looking forward to finishing it within some weeks. That footage from Lofoten looked really impressing. What was the most special thing that happened on that trip? Lofoten was an adventure, and really different. Every trip I go to, my mission is to find wind and train as much as possible. This time our mission was to just discover something new and film epic places. Kind of a holiday that I have not had in years. The sailing in the north was not really great as there was not much wind. But we did get two sessions in. The locals said it could be way better, and I believe so. But the waves were unreal. Sometimes even too big at Unstad. During the days we had there we were windsurfing, surfing, stand up paddling in the waves, mountain biking, hiking and camping. There is just one word for Lofoten: «EPIC». And everyone should go there once before they die! What has your handball career taught you that you’ve applied to your windsurfing career? Being a professional handball player taught me a lot of things. The best thing is that I got a strong mind and my “inner voice” is always on my side to improve, instead of telling myself I can´t do it. I was used to being ready at any time to score a goal in a handball match. Some games you play the whole match, some other games you may just play in the last minutes, and the coach wants you to enter the match and score in the last seconds to secure the victory. You never know how a game day will look like, so this is something that helped me in windsurfing competitions. I´m feeling good at being “ready” in stressful situations, without getting too nervous. I feel like I was “living harder” as a handball player, having a lot of pressure during the season, so now I can really handle the pressure I put on myself in windsurfing. 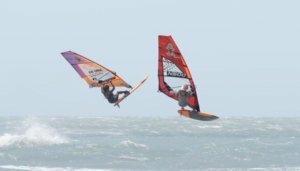 I hate to have bad windsurfing sessions, and I hate to not improve, so if I only crash a move, I analyse why, change some things, and I never give up until I learn it. Like in handball, you can never give up! I´ve also learned how to focus right. During a heat I only think of my own sailing, as this is the only thing that´s in my control. Last, but most important, I know how to live and train like an athlete. That life does not only contain windsurfing. Being strong is great for staying away from injuries, which for me, is the most important. You were a professional handball player before. 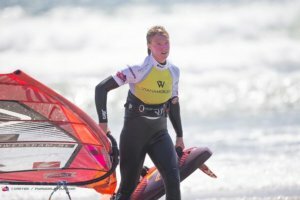 Why did you decide to become a professional windsurfer? Because I could not stop thinking of windsurfing after the first time I got planing. That was it for me, I was hooked! Photos: PWA/JC, Håkon Skorge, Delphine Cousin.